For all the macarons I’ve churned out in the past few years, have you also noticed that there are trendy kitchen gadgets such as a silicone macaron mat in specialised baking shops? When Mum told me my cousin, Julie, made wonderful macarons for a family party (using my first book, Mad About Macarons) and that she was using a macaron mat, I thought it was about time to jump on the bandwagon, try one out myself and help you decide if it’s worth buying one or not by this silicone macaron mat review. Although it’s referred to as a “small” macaron baking sheet, it’s rather a large mat (42cm x 33cm; 17″x13″) and so the small is referring to the size of macarons, not the macaron mat itself. In America this may be an extra small size, but in France this is the normal size found in the pâtisseries in Paris. 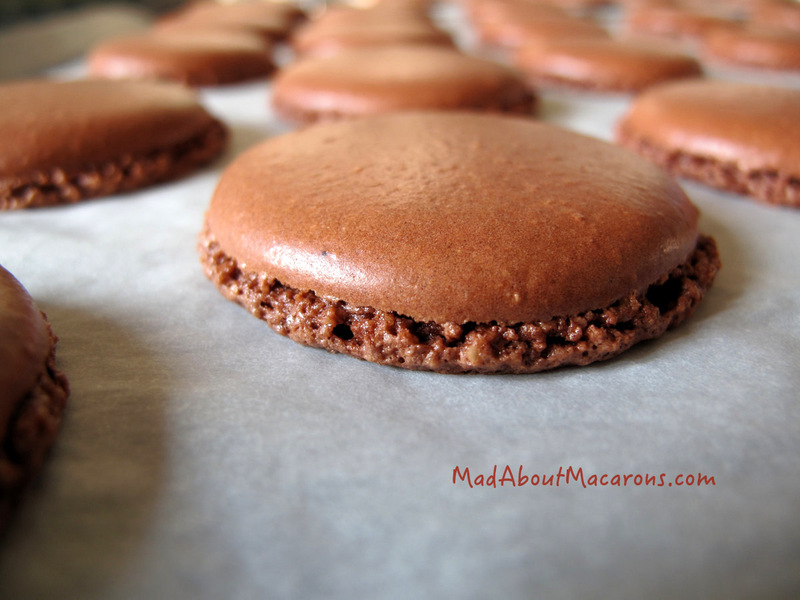 The mat produces 56 shells for 28 macarons. It was great to see so many macarons condensed onto one tray. If you see the photo above left, however, you will see that my macarons are not quite round. Why? Well, although it may look easy I had to pipe the batter right into the middle of the raised rounds. By the time the batter spread out a little (as they normally do), I realised that some of my piping wasn’t quite directly in the middle. I’m so used to piping quickly free-hand. Although I missed the centre on some of them, the majority turned out in perfect circles. On the other hand, the mat was too big for my large baking sheet. 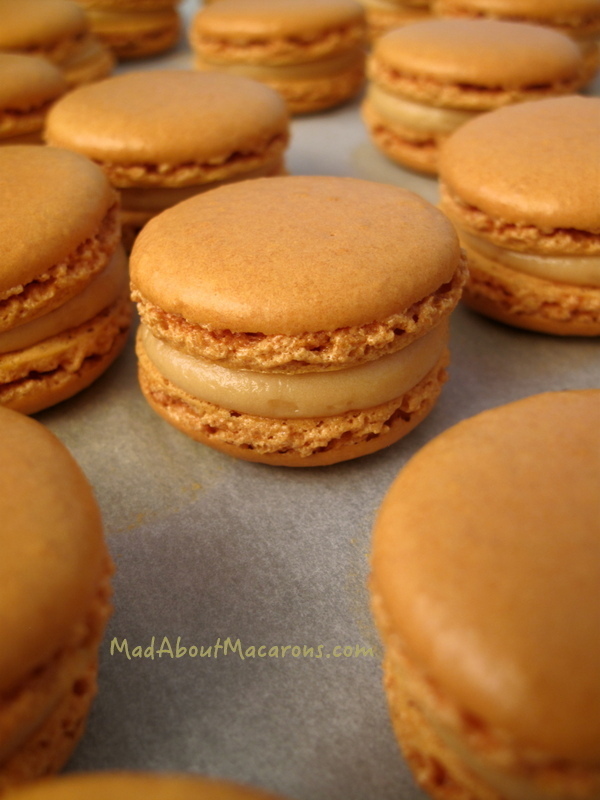 The result was that the batter moved and produced some oval macarons which were not so pretty. I would, therefore, recommend that you use a baking sheet that is large enough to support the mat, such as this aluminium 18×14 baking sheet. Silicone macaron mat review: Oh what little feet we have! Baking the macarons using the silicone macaron mat took an extra 4-5 minutes compared to the ones being baked just on baking parchment. In general, the end result was satisfactory but I really wasn’t happy that the macarons’ feet were much flatter than I normally achieve by piping directly onto good quality baking parchment/paper. I also found that the macarons tended to stick to the mat, creating a shiny surface underneath. I would recommend oiling the mat slightly before piping to avoid this. Being so used to piping out macarons free hand, I find it much easier to use simple baking parchment (good quality) and pipe out rounds quickly. After a few batches I stopped using the silicone mat for macarons; it’s too time consuming to relearn how to pipe the batter into the centre of the silicone rounds on the mat. So that my money doesn’t go to waste, I’ve used it for making chocolate mendiants. I also used the macaron mat for making French chouquettes (mini choux buns topped with pearl sugar.) It was interesting to see that they turned out slightly flatter compared to ones piped out onto my Silpat silicone baking mat. For chouquette, profiteroles and éclair pastry lovers, I have a whole chapter of easy choux bun recipes and pastry treats in my new book, Teatime in Paris. The mat is an extra luxury; you don’t need it, especially if you already enjoy baking and have a few practises with the piping bag. First-time users with a piping bag can find it awkward at first and, although the mat provides extra confidence in piping out uniform rounds, you still need to practise piping out the rounds directly in the middle and just enough so that the batter doesn’t go over the raised rounds. The positive side is that you can fit more macarons on to the one sheet. If you do prefer using the mat, I would ensure you have a baking sheet that is large enough to hold the full mat, so check your sizes first as I recommend above. I still prefer using good quality baking parchment for the best macaron shell results with a perfect foot. Have you bought a macaron mat recently? What do you think? 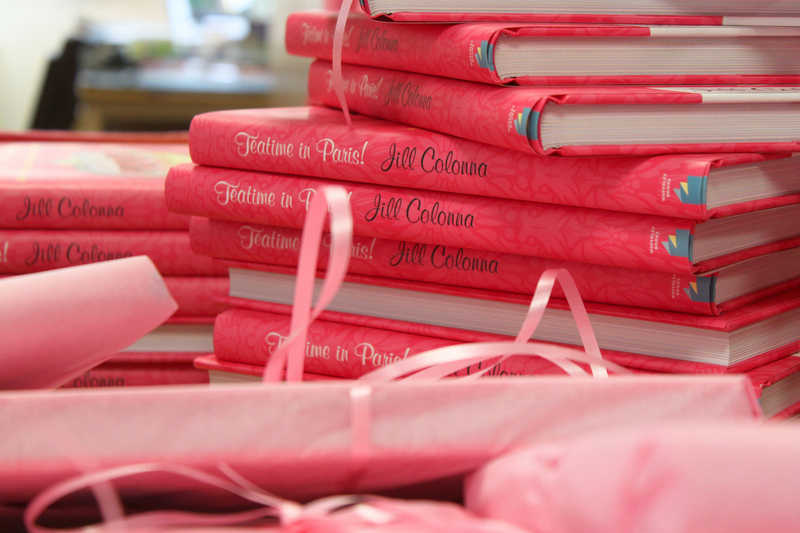 Even BETTER VALUE (at the price of a box of macarons) is my second recipe book, Teatime in Paris! (published 2015), including step-by-step macaron recipes; 50 recipes of French teatime favourites such as Lemon & Passion Meringue Tart, coffee éclairs, Paris-Brest (macarons too! ), vanilla millefeuille, raspberry financiers, honey madeleines with rose & green tea, hot chocolate like Angelina’s, almond tuiles, speculoos ice cream …and with a DIY guide thrown in of Paris’ best patisseries, chocolate shops, macarons and tea salons. Never Miss a New Recipe or Post! Note: This is a personal review and not sponsored by anybody: Mastrad did not contact me. As I see them in so many shops and readers ask me if they should buy it, I bought the mat myself, curious to try. All ideas and opinions are my own in the interest of my macaron-making friends. If any company wishes to contact me to convince me otherwise, however, then I am totally open to doing a new review … Links are not affiliate links on this page.